Illinois is home to a dozen schools offering master's in communication programs. 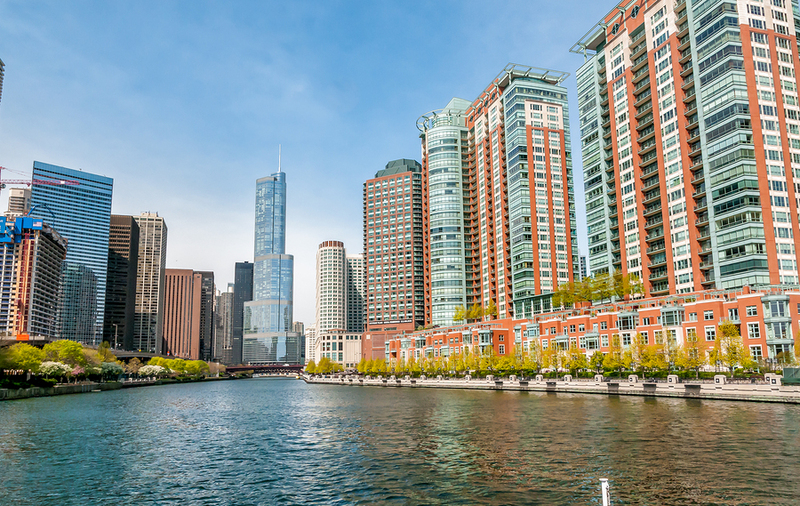 Communications students can choose from programs in the major metropolis of Chicago or in every other corner of the state from DeKalb to Carbondale, and can choose traditional on-campus programs or convenient online options. Illinois' economy boasts many thriving industries in which communication graduates can build their careers, including finance, publishing, architecture, manufacturing, tourism, agriculture and many others. Major Fortune 500 companies that have offices in Illinois include Walgreens, Boeing, State Farm Insurance, ADM, Caterpillar and Kraft Heinz. In addition to major corporations like these, communications experts may consider pursuing careers in once of Illinois' communications and advertising firms, such as Edelman, Starcom Worldwide, DDB Chicago, Ogilvy, and Publicis Media. With some many programs to consider, there is sure to be the right master's program to fit any communication career aspiration. Keep reading for details on all of the master's in communication programs offered in Illinois. Eastern Illinois University in Charleston offers a Master of Arts in Communication Studies program in a traditional on campus format, as well as an online Master of Arts in Communication and Leadership program. What to Know: The Master of Arts in Communication Studies program allows students to concentrate in Strategic Communication, Interpersonal Communication and Media and Critical Studies. Eastern Illinois University also offers a Communication Pedagogy option for students who are interested in teaching communication following graduation. What Does It Cost? 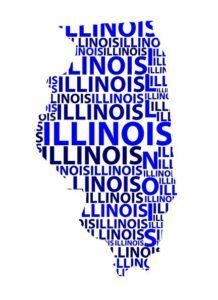 : Graduate level tuition for the 2018-2019 academic year is $299 per credit hour for residents of Illinois and bordering states, and $718 per credit hour for non-residents. This tuition rate does not include additional fees and supplies. Anything Else? : All courses for this program are offered in the evening to accommodate students who work full-time while completing their degree. Illinois State University offers a Master of Arts in Communication degree on their campus in Normal. What to Know: The Master's in Communication program allows students to tailor their programs by only requiring three core courses and allowing students to choose their additional courses based on their individual career goals. What Does It Cost? : Graduate level tuition for the 2018-2019 academic year is $403 per credit hour for Illinois residents, and $838 per credit hour for non-residents. This tuition rate does not include additional fees and supplies. Anything Else? : The application deadline for the fall semester is February 1st and the deadline for admission in the spring is October 1st. Northern Illinois University offers a Master of Arts in Communication Studies program on their campus in DeKalb. What to Know: The Master of Arts in Communication Studies program allows students to choose from the following concentrations for their studies: Interpersonal, Organizational and Persuasive Communication, Rhetorical Studies, Journalism and Media Studies. What Does It Cost? : Graduate level tuition for the 2018-2019 academic year is $4,465 per semester based on a 9-credit hour course load. This cost does not include additional course fees or materials. Anything Else? : The application deadline for the fall semester is July 15, December 10 for the spring semester and June 1 for the summer. Northwestern University's School of Communication offers several master's-level communication programs online (see below for more details) or on their campus in Evanston. What to Know: Among the master's-level communication programs offered at Northwestern University include Master of Science in Communication, Master of Science in Health Communication, Master of Art in Sound Arts and Industry, Master of Fine Art in Documentary Media and Master of Fine Art in Writing for the Stage and Screen. You can read more about each of these programs online here. What Does It Cost? : Tuition for the Master of Science in Communication program for the 2018-2019 academic year is $53,217 for domestic students and $65,043 for international students. Tuition for the MFA in Writing for the State and Screen is approximately $50,000 for the 2018-2019 academic year. Tuition for the Master of Science in Health Communication program for the 2018-2019 academic year is $5,913 per class, billed at the rate of 2.25 classes per quarter for fall, winter and spring quarters and 3.25 classes for summer. Tuition rates for the 2018-2019 academic year for the Master of Art in Sound Arts and Industry and MFA in Documentary Media were not yet available online, so check back with the bursar's office for the latest program fees. Anything Else? : The application deadline for each master's program at Northwestern University varies based on the program, so be sure to consult with your desired program for the application deadline that applies to you. Southern Illinois University in Carbondale offers a Master of Arts in Communication Studies program in a traditional on campus format. What to Know: The Master of Arts in Communication Studies program is a 30-credit hour degree that culminates in either a thesis or research report. What Does It Cost? : Graduate tuition and fees for the 2018-2019 academic year are $6,053 per semester for Illinois residents, and $12,391 per semester for non-residents. Anything Else? : The application deadline for the MA in Communication Studies program is January 15 for a fall semester start. The University of Illinois at Springfield offers a Master of Arts in Communication program in an on campus format. What to Know: The Master of Arts in Communication program is a 36-credit hour degree that culminates in a thesis, final project or comprehensive examinations. What Does It Cost? : Graduate tuition for the 2018-2019 academic year is $329 per credit hour for Illinois residents and $675 for non-residents. These costs do not include mandatory school fees or supplies. The University of Illinois at Urbana-Champaign offers a Master of Arts in Communication program in an on campus format. What to Know: The Master of Arts in Communication program is a 32-credit hour degree program that students can customize under the supervision of an academic advisor. The program culminates in comprehensive evaluations prepared and supervised by the advisor. A thesis is optional. What Does It Cost? : Graduate tuition for the 2018-2019 academic year is $12,688 for Illinois residents and $27,412 for non-residents. Anything Else? : The application deadline for admission to the program is December 15. Western Illinois University offers a Master of Arts in Communication program on their campus in Macomb. What to Know: The Master of Arts in Communication program emphasizes theoretical and applied knowledge of communication and allows students to choose from a thesis, applied project or research paper to complete their degree. What Does It Cost? : Graduate tuition for the 2018-2019 academic year is $323 per credit hour for all domestic students and $485 per credit hour for international students. These costs do not include additional fees and the cost of supplies or books. Anything Else? : Applications for the graduate communication program are reviewed on a rolling basis. DePaul University offers a Master of Arts in Communication and Media as well as a Master's of Arts in Healthcare Communication program on their campus in Chicago. What to Know: The Master of Arts in Communication and Media allows students to select a concentration for their studies from the following options: Media and Cinema Studies, Multicultural Communication, Organizational Communication or Relational Communication. The Master of Arts in Health Communication prepares students for careers as communicators in the healthcare industry, and graduates often pursue careers in healthcare administration, communications and media relations or patient and consumer affairs advocacy. What Does It Cost? : Graduate tuition at DePaul is paid on a per credit basis. The tuition cost for the 2018-2019 academic year at the College of Communication is $745 per credit hour. Anything Else? : The Master of Arts in Communication and Media and Health Communication programs are designed to be completed in two years of study, with classes offered weekday evenings to accommodate students who work full-time. Read our interview with Dr. Paul Booth – Associate Professor & Graduate Program Director of the Digital Communication and Media Arts (DCMA) program. Loyola University Chicago offers two master's-level communications programs on its campus in downtown Chicago. What to Know: The Master of Science in Global Strategic Communication is a two year professionally-focused program that accommodates working professionals by offering evening classes and full- and part-time options. The Master of Communication: Digital Media and Storytelling program is designed to prepare students for careers in digital media by teaching them how to write, shoot and edit digital content. What Does It Cost? : Graduate level tuition for the 2018-2019 academic year for both communication programs is $1,033 per credit hour. This cost does not include additional university and course fees, supplies or books. Anything Else? : Applications for both communication programs are reviewed on a rolling basis, and all new program participants begin their studies in the fall semester. The University of Illinois at Chicago offers a Master of Arts in Communication program in an on campus format. What to Know: The Master of Arts in Communication program is a 32-credit hour degree that culminates in either a thesis or comprehensive evaluation. Students can also choose to pursue interdepartmental concentrations in Gender and Women's Studies, Latin American and Latino Studies or Survey Research Methodology to complement their communication studies. What Does It Cost? : Graduate tuition for the 2018-2019 academic year is $5,830 per semester for Illinois residents and $11,950 for non-residents. Anything Else? : The application deadline for admission in the fall semester is May 15, November 1 for the spring semester and March 15 for the summer semester. The online Master of Arts in Communication and Leadership program is a 33-credit hour program that is designed to be completed in two years and can be started in the fall, spring or summer terms. Learn more about Eastern Illinois's online program option here. Northwestern University offers an online Master of Science in Integrated Marketing Communication program that takes an average of two years to complete with starts in the fall and spring semesters. Northwestern University also offers their Master of Science in Communication program in a hybrid online/ on campus format tailored to students with management experience and requires four on-campus seminars to supplement their online curriculum. The University of Illinois offers an online Master of Science in Health Communication program as well as an online Graduate Certificate Program in Strategic Brand Communication. What to Know: The Master of Science in Health Communication program is a fully online program that allows students to specialize in interpersonal, family, organizational, socially mediated and cultural communication in a healthcare context. The Strategic Brand Communication program is designed for working professionals and can be completed in 15 months of study. The Strategic Brand Communication program combines traditional advertising practices with courses from the Department of Business Administration. What Does It Cost? : Graduate tuition for online courses at the University of Illinois for the 2018-1019 academic year is $473 per credit hour. Anything Else? : The application deadline for the Master of Science in Health Communication program is June 1 for admission in the fall.